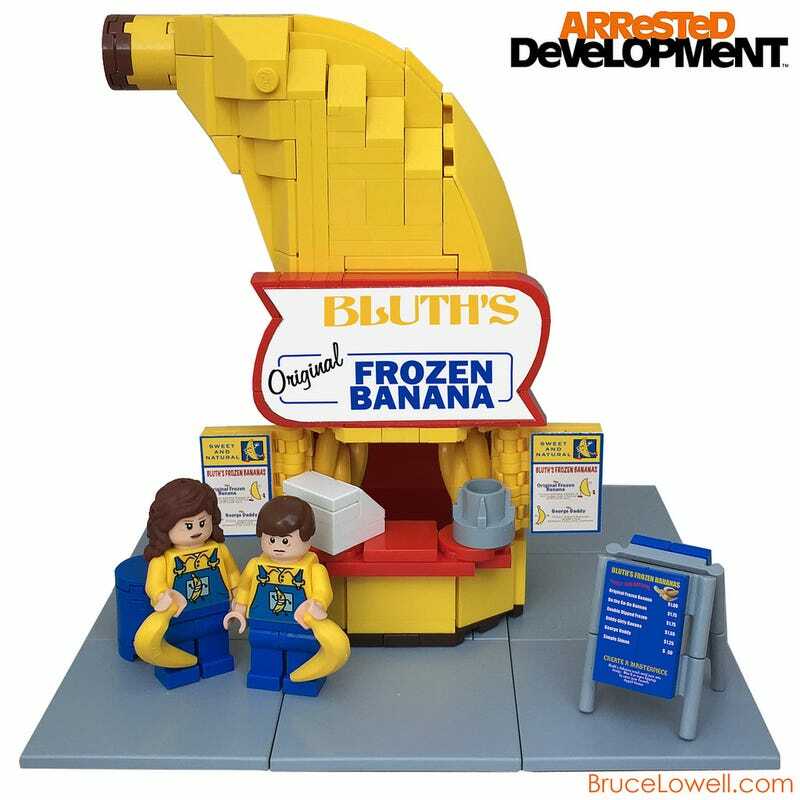 Inspired by the minifigure from the new set, Gorilla Grodd Goes Bananas (76026), Bruce Lowell has recreated the frozen banana stand from Arrested Development. This super clever build is the first that Bruce has shared for the year. I'm going to assume that there are 1x2 money tiles hidden in the walls.